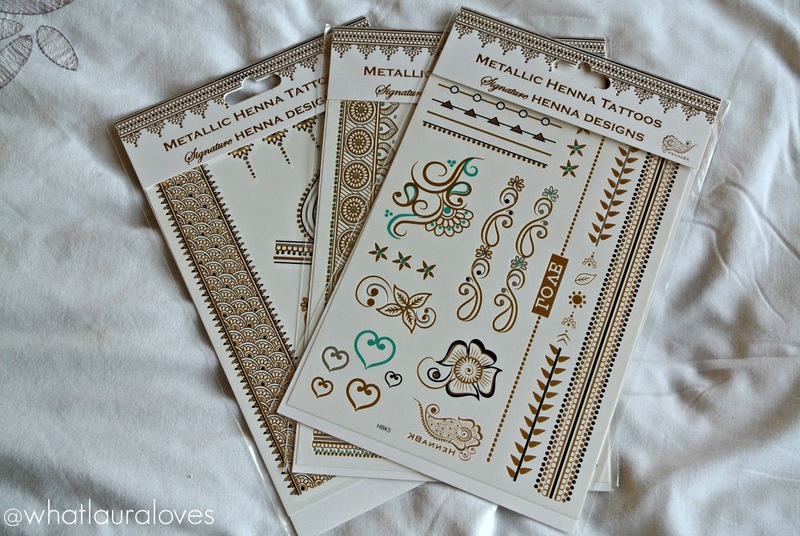 All summer I have searched high and low for the perfect metallic tattoos and its just my luck that I discovered them right before the end of the season. 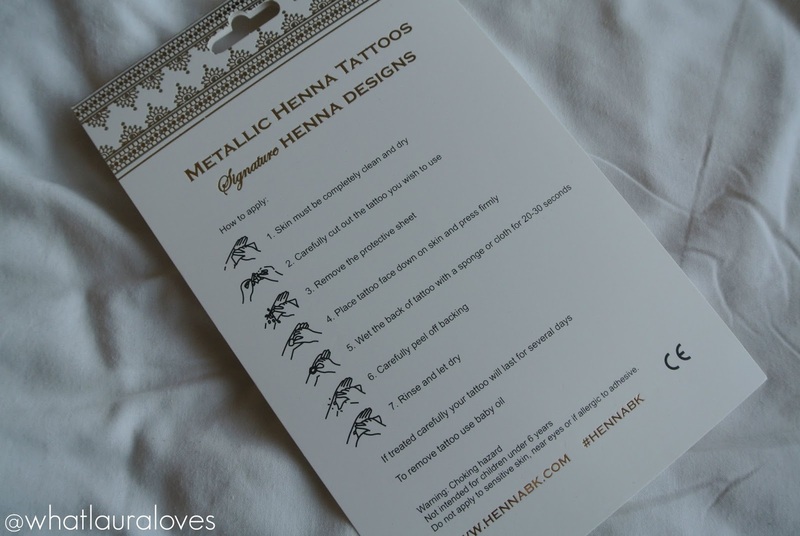 The HennaBK Metallic Tattoos are absolutely fabulous because they’re all henna inspired designs so they’re intricate, beautiful designs that look incredibly pretty on the skin. HennaBK was created by Khuram who is a professional mehndi artist. She has over 10 years experience in henna and decided to take her passion for the art further by producing collections of temporary metallic henna tattoos that you can apply at home yourself. 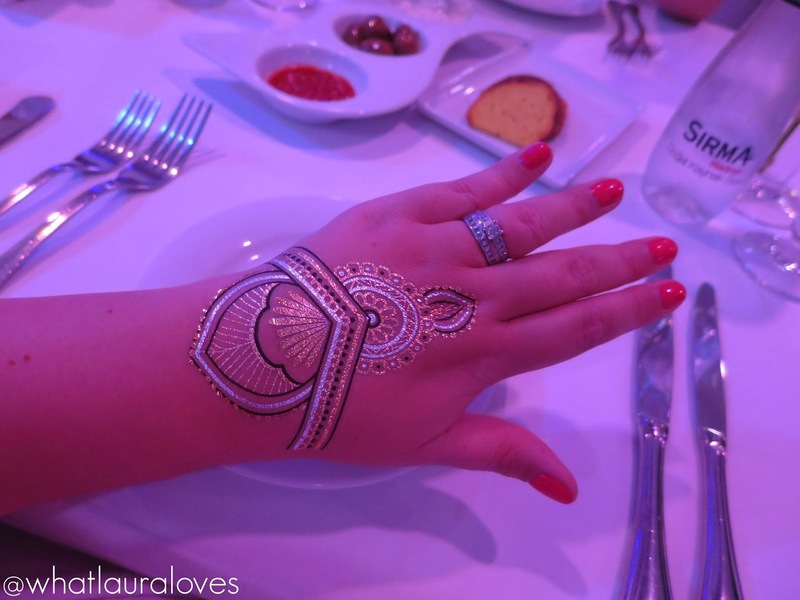 The HennaBK tattoos are really unique as they combine the traditional ancient art form of henna with modern and contemporary designs and the on trend metallic colour palette. There are so many gorgeous patterns available that can be worn alone or together, as elaborately as you like; there is something for everyone! 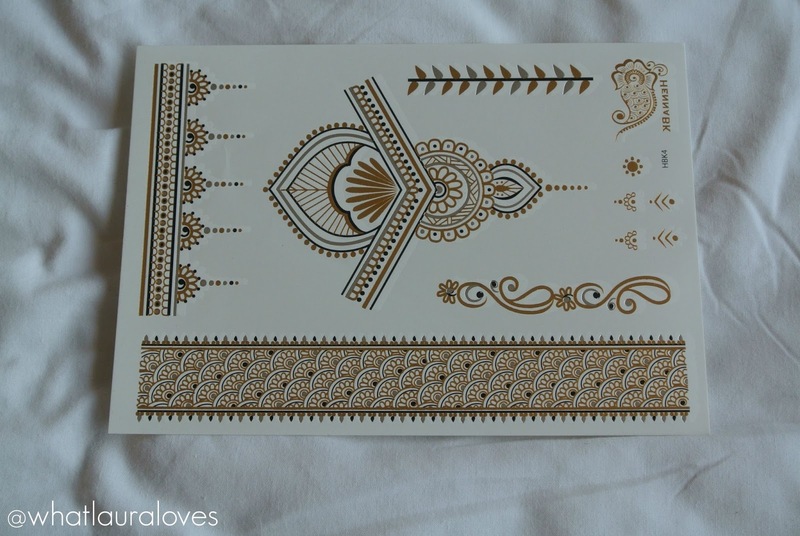 HennaBK kindly sent over three sets of their Signature Henna Designs and I loved them as soon as I saw them. Not only do they combine silver and gold metallic colours but also black, white and turquoise. I cut out some of my favourites and added them straight to my suitcase for my holiday to turkey. The tattoos are so easy to apply, just like when you would apply the free tattoos you’d get with bubblegum as a kid! Simply peel off the plastic, place the tattoo faced down and add a wet cloth to the back until the card is soaked and then gently peel away to reveal the temporary tattoo on the skin. 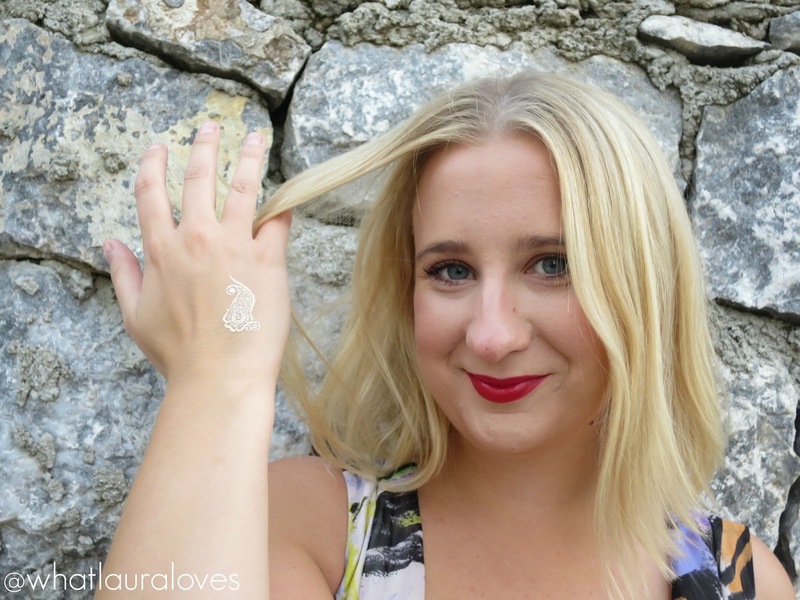 You can apply the HennaBK tattoos anywhere. I love the look of them on the upper back, on the hands and inside of the wrists, on the collarbone and on the feet. Not only are they easy to apply but they’re so easy to remove too. 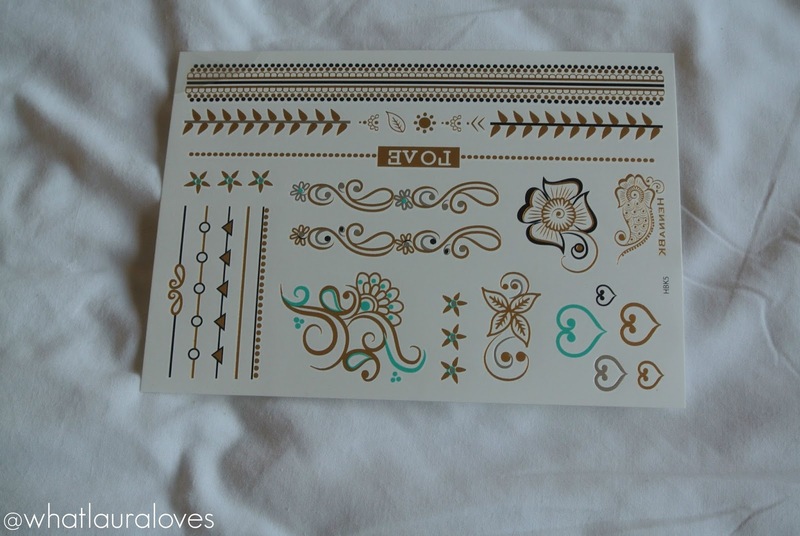 I found that generally, the tattoos would last all night and I’d wake up with them still looking perfect the next day which is something I didn’t find with a similar type of metallic tattoo from a different type of brand. If I applied SPF oil or lotion, or if I went into the pool and got the HennaBK tattoos wet then they would fade and peel away in little bits. Not in a messy way at all and they didn’t leave any scarmy marks on my skin at all. 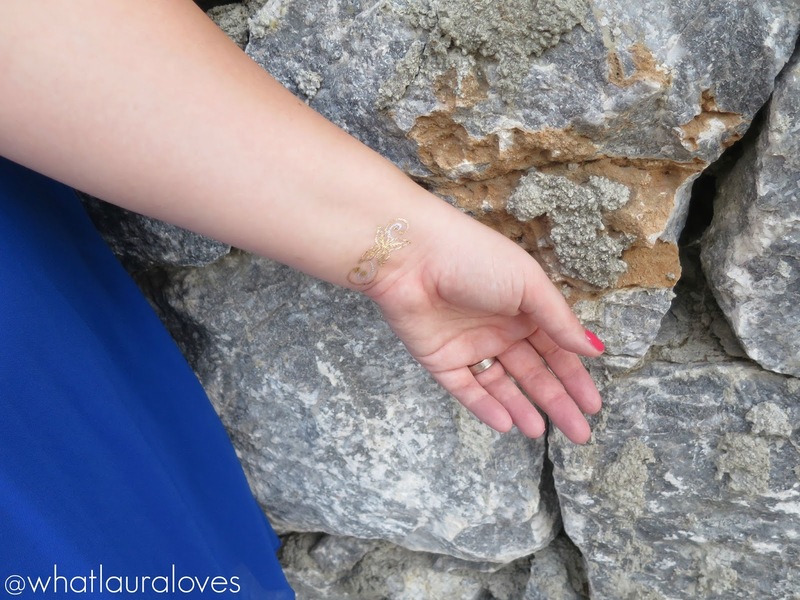 If I wanted to remove the tattoos myself, then I found that wiping over them with a little nail polish remover on a cotton pad, removed them quickly and cleanly from my skin. These tattoos look incredible on the skin and really catch the light. They look even better with a tan. 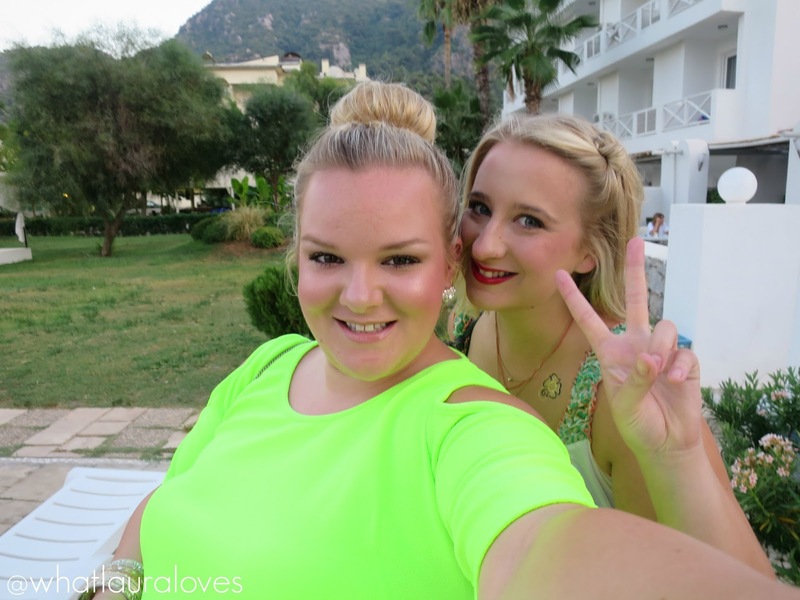 On holiday, me and my friend Rachel wore them most nights and loved the effect that they gave as the metallic shades catch the light so well. Lots of people complimented us on them and asked us about them. HennaBK run different offers too which I think is really cool as its always nice when a company give back. Each set of tattoos is under £5 and there are offers on multiple packs. In the tattoo packs, you also get the HennaBK gold logo tattoo. If you take a photo of you wearing it, tag them in it and share it then you receive 10% off your next order- what a fun idea and who doesn’t want to save money?! You can order HennaBK tattoos here and follow them on Twitter here. They’re a UK based company but they ship worldwide… happy shopping lovelies! Previous Post Finish 10 By Christmas Eve Challenge! 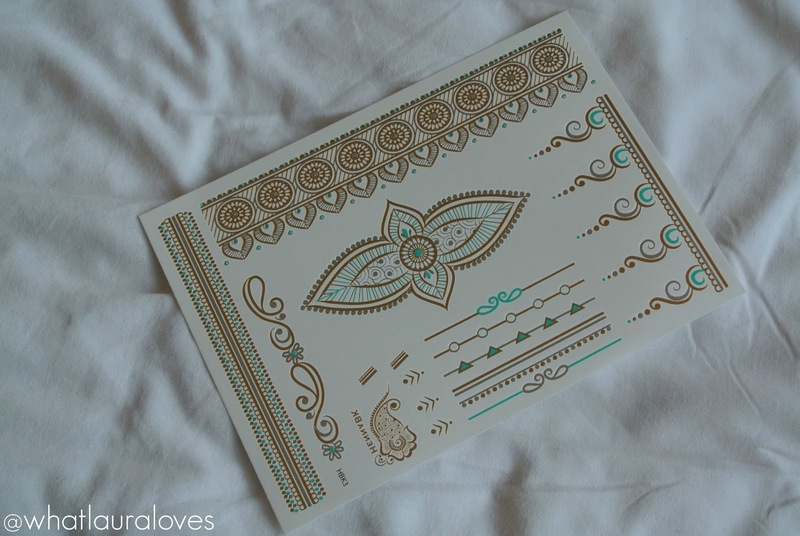 I love henna, and I think it is a good way for someone to see if they would like a tattoo..
Oh wow. My daughter would absolutely love these tattoos. She's very creative and would probably come up with her own designs! I may well invest in some for her! The hand one is really pretty.